I bought too many tomatoes last weekend the farmers market and after a very busy week of not cooking I knew I needed to use up the tomatoes or I would have to throw them in the trash. 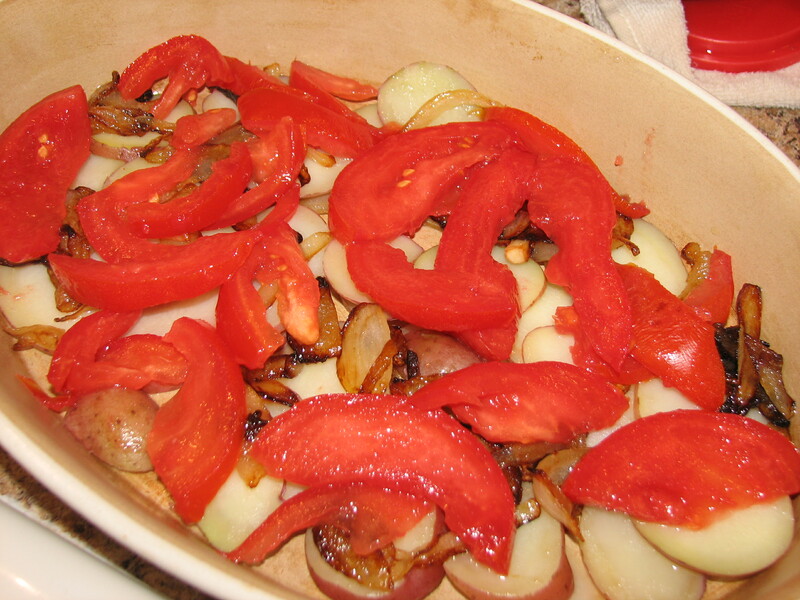 I went to a local restaurant close to my apartment and had their potato, onion, and tomato dish. It was good but extremely greasy for me. Sunday mornings are my favorite to create something interesting. 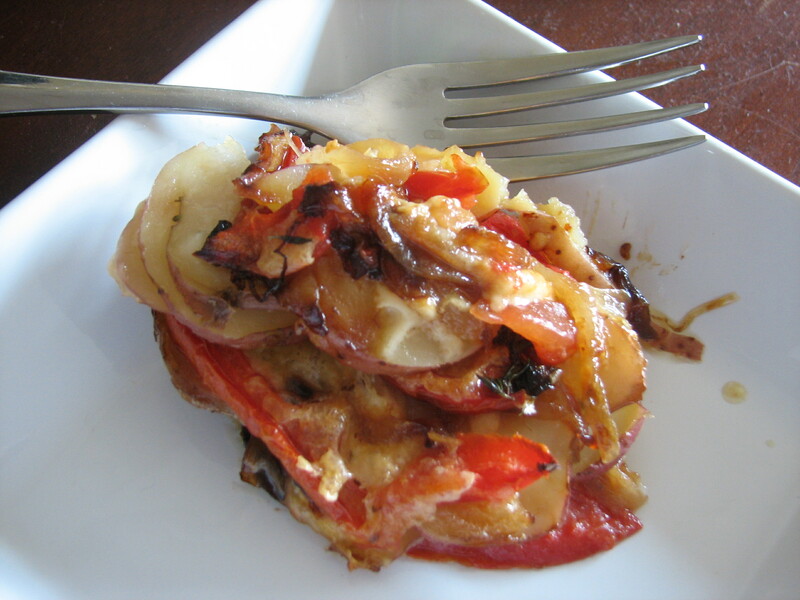 Instead of the traditional egg, bacon and potato breakfast, I created a similar dish with all the farmer’s market vegetables I bought and the results were fresh, simple and healthy. 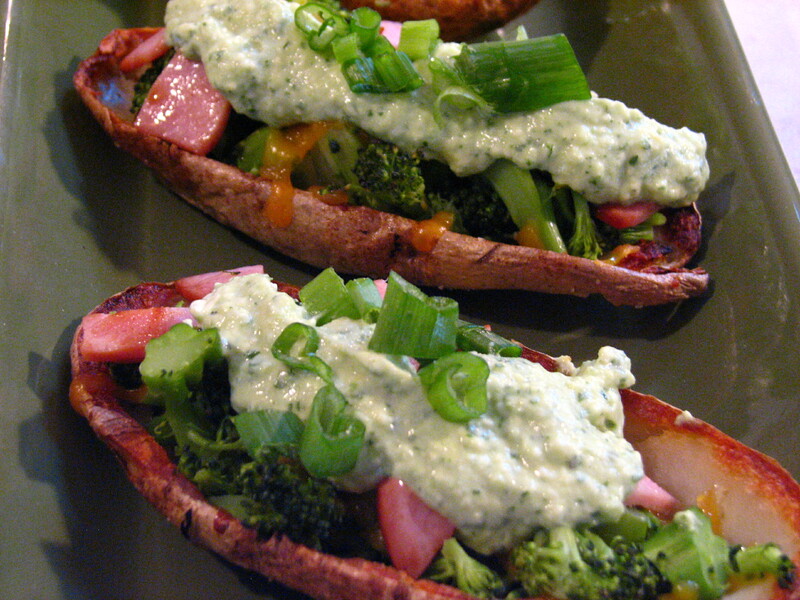 I used the steamer because it is extremely healthy, low fat and it helps cut down on the cooking time in the oven for the potatoes. 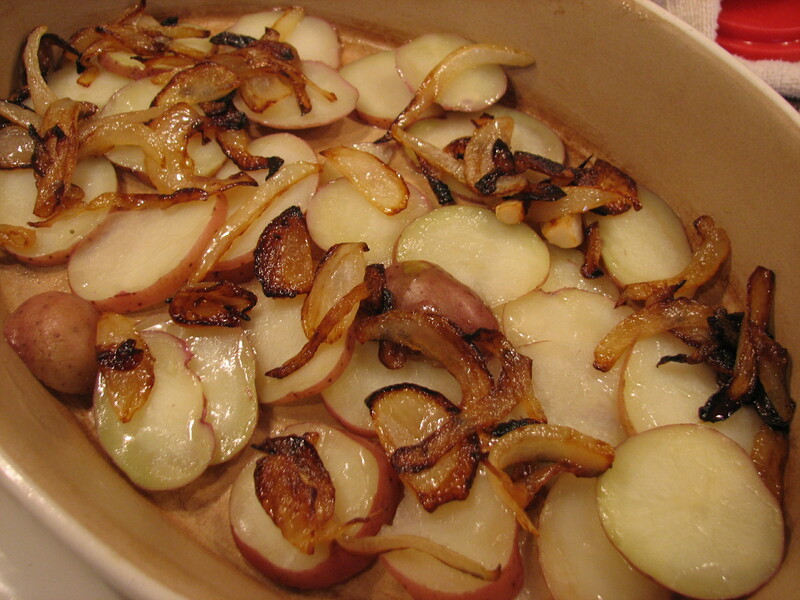 I find that steaming the potatoes brings more flavor than par-boiling the potatoes for 10 minutes. 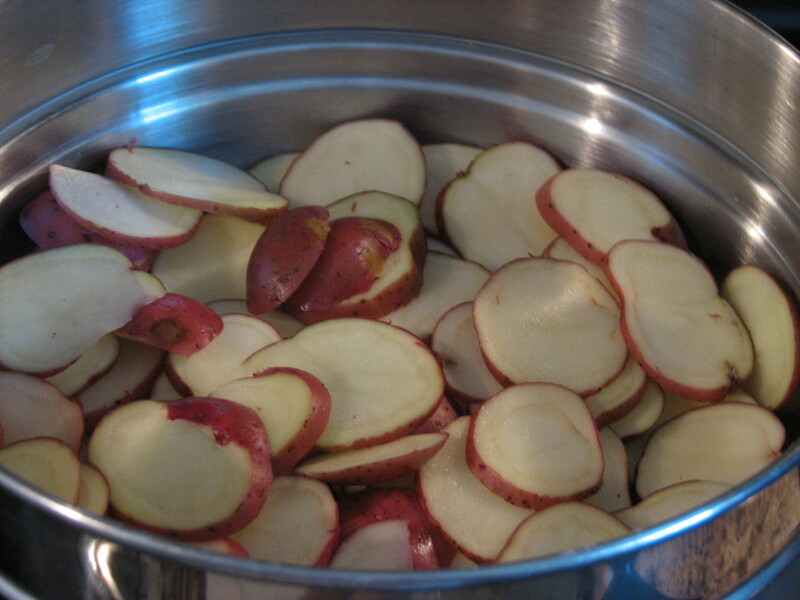 In a steamer, add the sliced red potatoes and steamed for about 5 to 7 minutes until semi-soft. 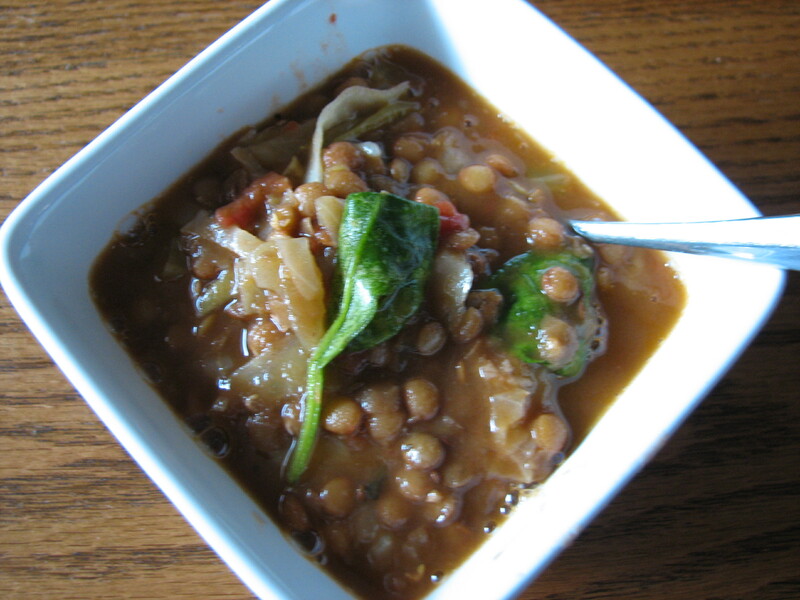 Remove from the heat – set aside uncovered. 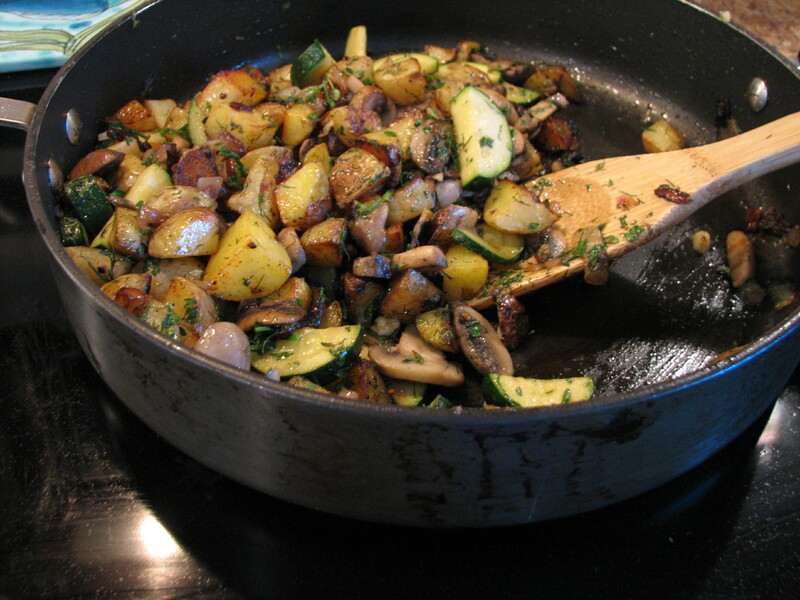 In a sauté pan over medium heat, heat up about 2 tablespoons of olive oil and add the half moon onion slices. 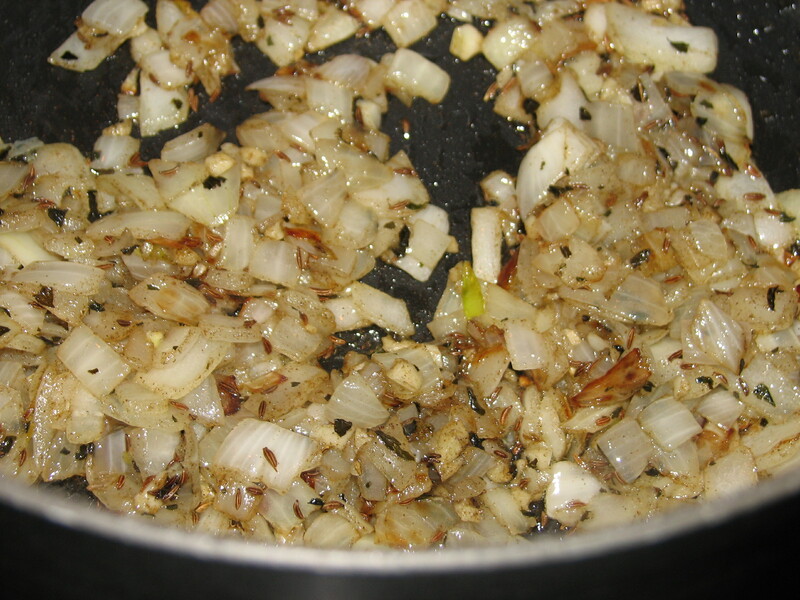 Sprinkle salt on the onions as it will help make the onions sweat. Cook the onions for about 10 minutes or until caramelized. 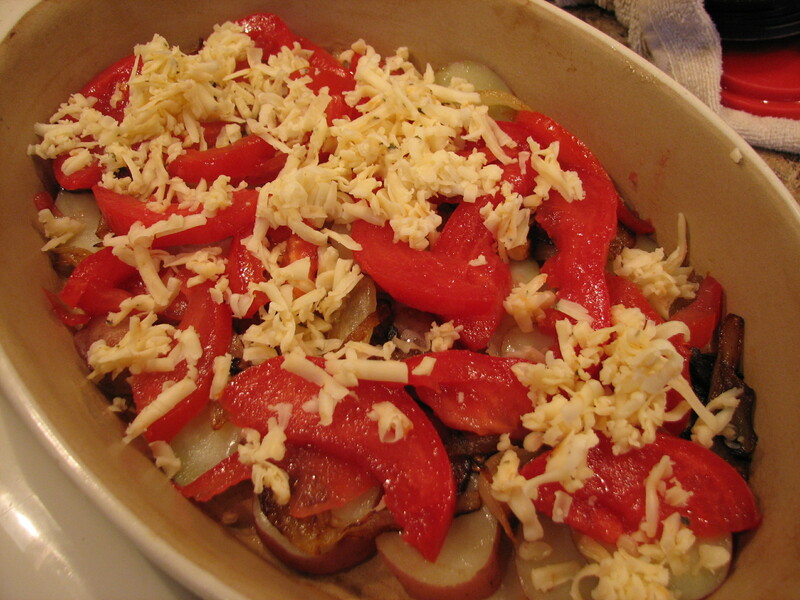 In a casserole dish, single layer the steamed potato, half the onions and half the tomatoes. Sprinkle with half the grated cheese. 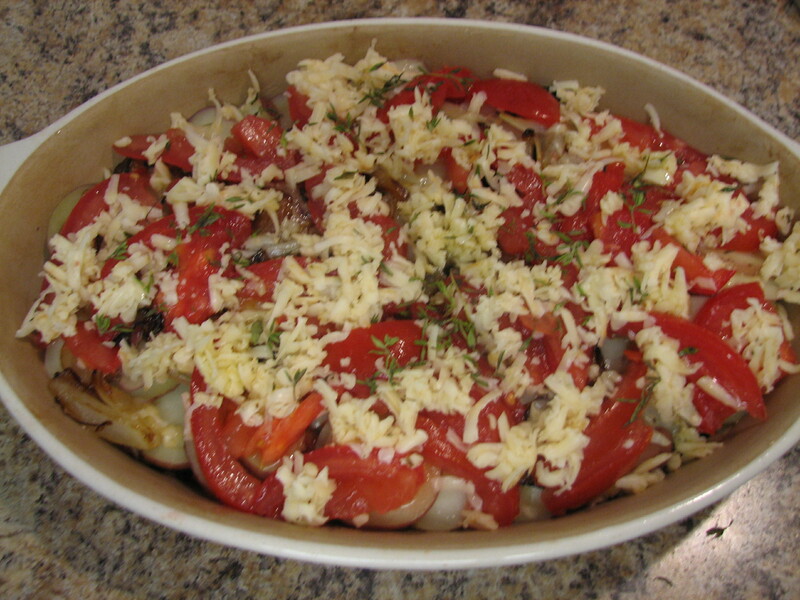 Season lightly with salt and pepper and repeat the 2nd layer with steamed potato, onion, tomato and grated cheese. 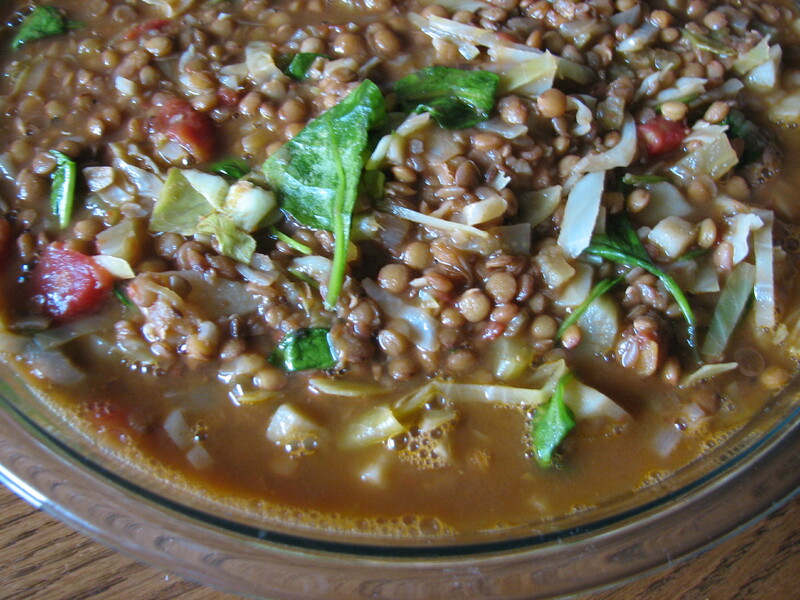 Sprinkle the top very lightly with olive oil and with fresh thyme. 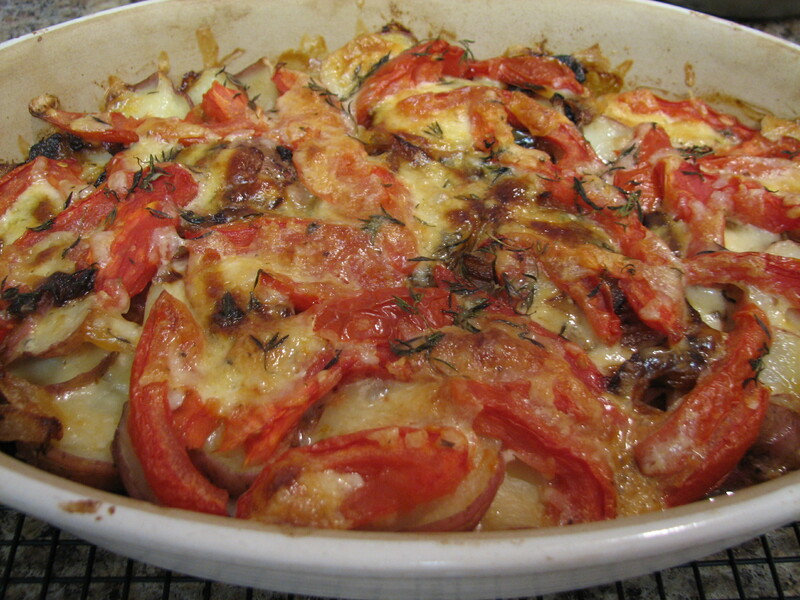 Bake at 350 degrees uncovered for about 40 minutes – the cheese should be melted and brown. The tomatoes have that roasted look.